One Eternal Day: "I had a father who read to me"
The final stanzas of this compelling poem are,"You may have tangible wealth untold; Caskets of jewels and coffers of gold. Richer than I you can never be. I had a Mother who read to me." It's a new year. Please consider enriching your children beyond buying things that may break or lose their value. Give a lifetime of success and happiness to your children. Read to them! I agree. 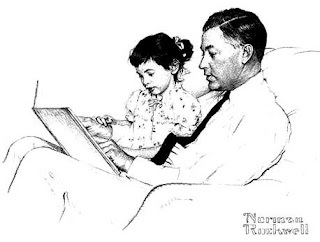 I had a father who read to me.